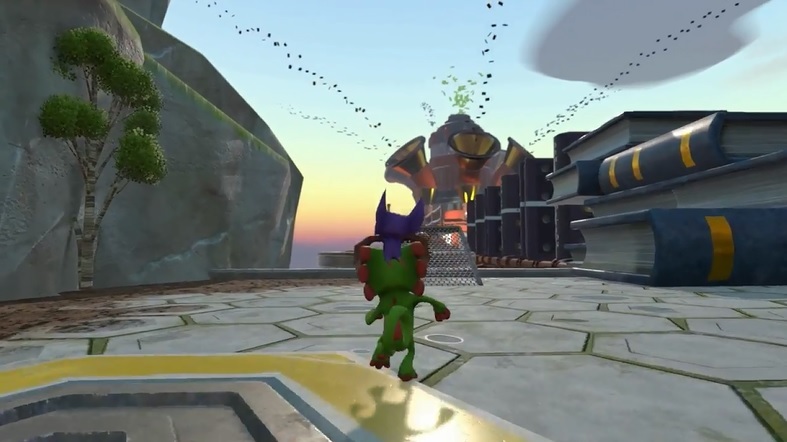 Want to see more of Yooka-Laylee? If so, you’re in luck, since Playtonic Games posted an all new trailer for it at Gamescom 2016! Wow, that was one hell of a great trailer. 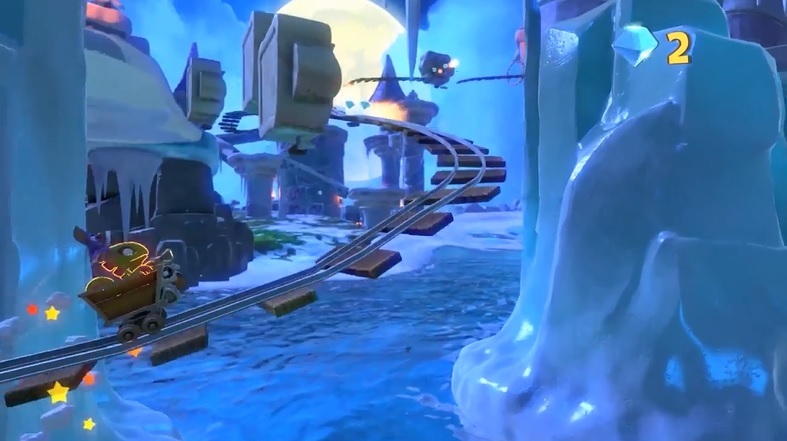 Lots of footage regarding the levels, some interesting transforms, some absolutely gorgeous visuals in general… Yooka-Laylee is looking more and more like the ultimate 3D platformer every time a video comes out! But let’s break it down a bit more, shall we? After all, it doesn’t seem right to skim over all those interesting details, does it? Like that interesting factory/library area the duo start in. Hmm, seems like Capital B’s HQ based on the giant gold statue they’re jumping off of. And talking of the statue… guess that makes him as egotistical as K Rool and Gruntilda were. Why else would you have a giant gold statue of yourself in your office? It’s also probably best to assume the rooftop area is also part of his factory. The colour scheme and decorations certainly shout ‘Hivory Towers’ if you ask me. There’s also what appears to be the outside of the building from a distance. Guess he’s literally absorbing the world’s literature, based on the flying streams of books in the sky. Makes you wonder something though. Namely, what does anyone else think of this? It’s not every day you see thousands of books flying through the air towards an ominous looking factory building. Even in England that’s uncommon! We also see that Capital B has robots in his army. Like that laser drone that tries to fry Yooka and Laylee. And now we get to one of the actual worlds. Well, I think it is. The pipes are probably all its ‘energy’ or whatever being absorbed by Hivory Towers. There’s also a quick shot of some googly eyes. No, not googly eyes on some inanimate object. Just googly eyes on their own. Given how one suddenly seems to be attached to a battery of some kind, this raises interesting questions about biology in this world. Maybe the eyes are actually a weird interdimensional parasite that controls inanimate objects? Or maybe they’re just battery enemies in the ground… eh, the first one sounds more interesting. This is followed up by a new transformation. 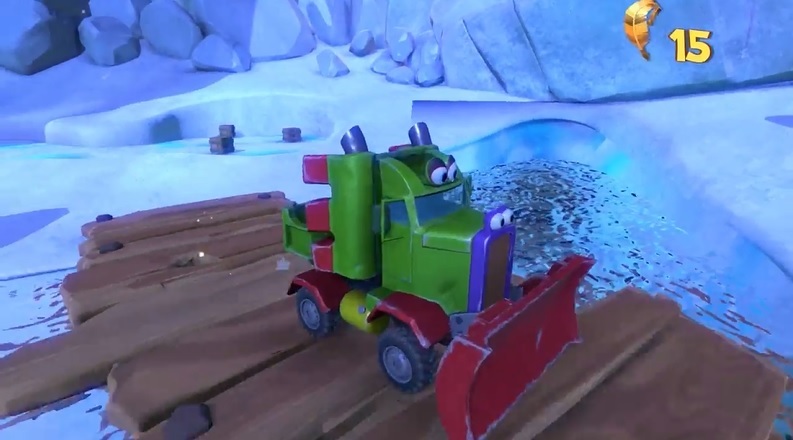 Seems like Yooka and Laylee can become a bulldozer in this game, and use the plough to move snow and other heavy objects. That’s pretty neat, especially given how it seems transformations are world specific. 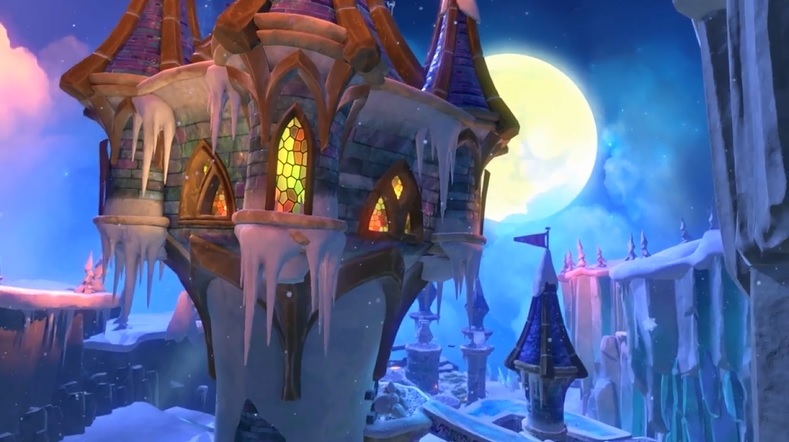 The snowy level itself is quite neat too. Bit dark and gloomy, but that’s neat to see in a game. After all, we’ve already got legions of happy and cheery looking snow levels out there. Another industrial one to join 40 Below Fridge and Freezing Furnace is far more original. 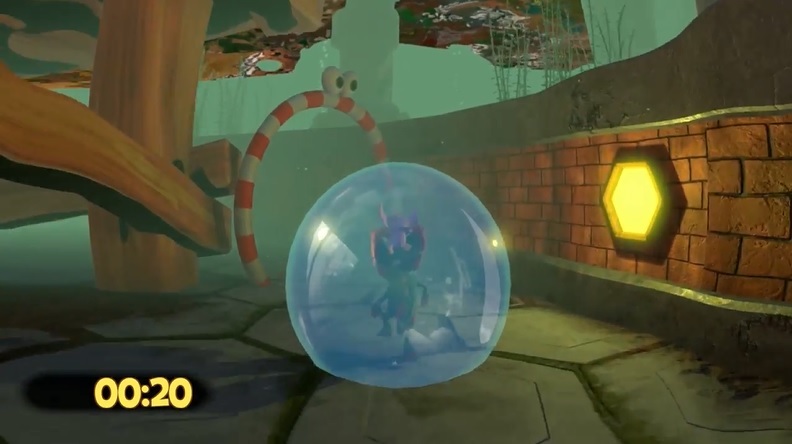 There’s also a clip showing Yooka and Laylee in a bubble. Which they seem to generate by farting underwater. Yeah, that’s… different. Either way, the mechanic is interesting, since it lets you use non water physics underwater. So you can run and jump about as if you’re on land, despite being hundreds of feet underwater. 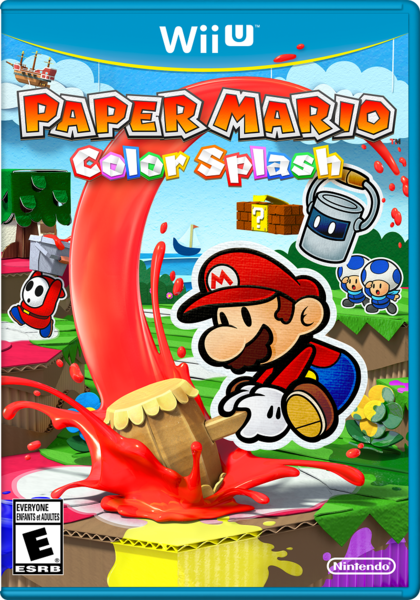 Surprised how few other games have thought of the idea to be honest. And what game is complete without going through rings? Not a 3D platformer apparently, since one mission has them go through a series of rings underwater. 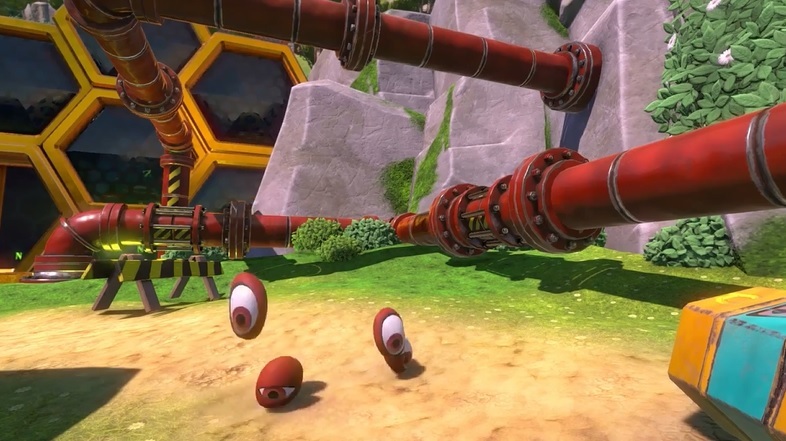 That said, the bubble mechanic makes it seem more fun, and the googly eyes on the rings are a nice touch too! Following that, we get a scene showing a weird golem like creature. 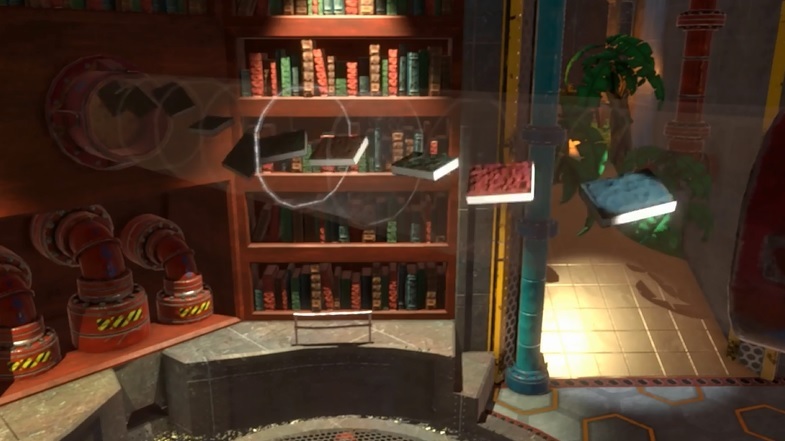 This thing (which might act as a doorway) seems to lie at the end of a series of flamethrowers that the duo must navigate. No idea if you actually fight it, but if so, that eye is probably its weak spot. Back to the factory now, and we get the first look at Capital B’s minions. 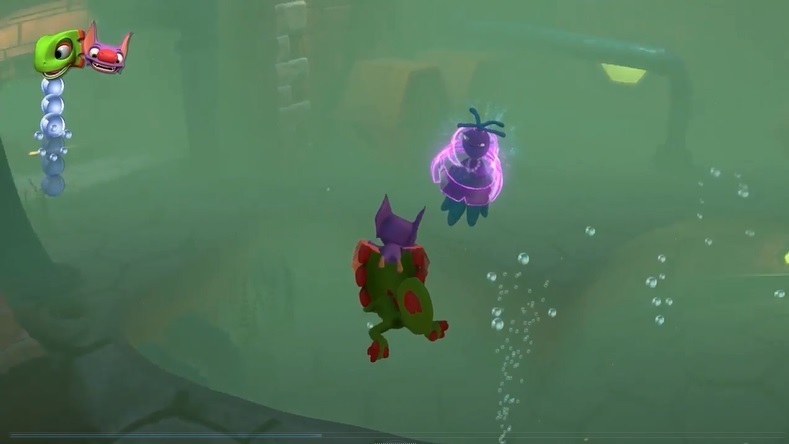 These goofy looking creatures seem to play the same role as Gruntlings in Banjo-Kazooie, and put up about as much of a fight. Another mine cart section is shown off too. This one has the heroes using a cannon to blast away obstacles while riding. Pretty cool that, especially given how few mine cart stages in games give you a good way to fight back. There’s also a short clip showing Capital B with his minions. 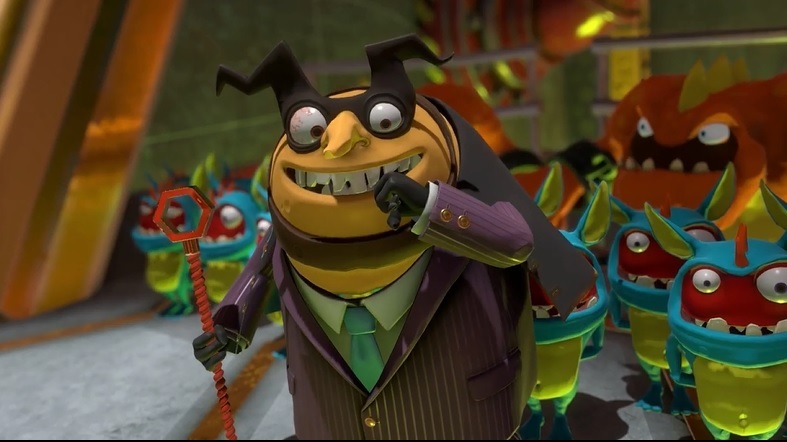 This guy looks every bit as good a villain as those in Rare and Nintendo’s games. And now we get to see the books being ‘converted into pure profit’. This involves them being sucked through a series of transparent pipes and sent through a bunch of machines. It’s in the same room as Capital B’s statue too, which is pretty neat. Time to look at some of the worlds now! Yeah, this game has really nice graphics (especially for an indie title), and the tour of the worlds featured makes it all the more apparent. The lighting in the ice level is especially beautiful. 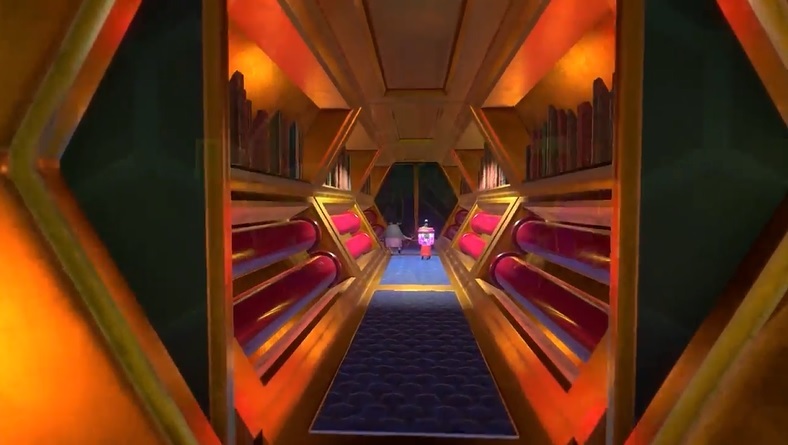 I mean, look at that pink glow, or the stain glass windows or the shiny tint on all the ice in general. 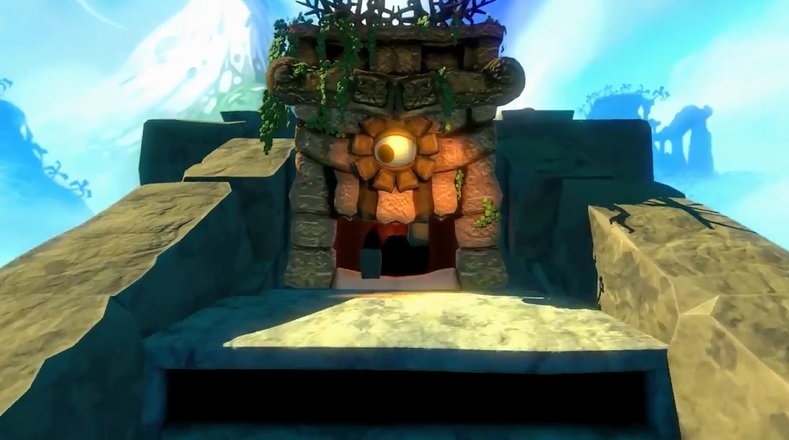 It’s a very pretty game, and makes me imagine what a Wii U Banjo-Kazooie title could look like. The levels also seem really big too, which is quite cool. Just look how long it takes to show all of the ruins area! That’s impressive. 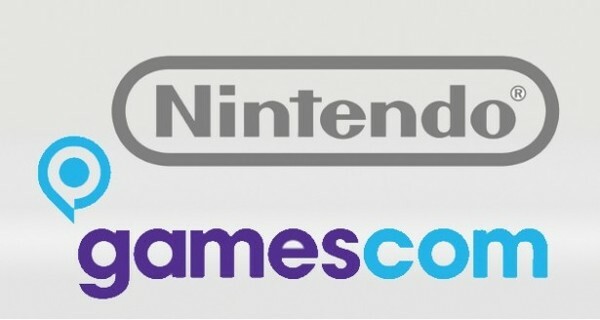 So much so in fact that they’ll likely give many sandbox games competition on the world size front! It’s reminding me a bit of the Breath of the Wild trailer, and that’s certainly a good thing here. Moving back to the factory now, and the trailer ends on two characters. Who are they? Good question, we don’t get close enough to see. But they look to be a female robot and a ball like creature wearing a nice hat. Presumably they’re NPCs you’ll encounter at some point in the adventure. 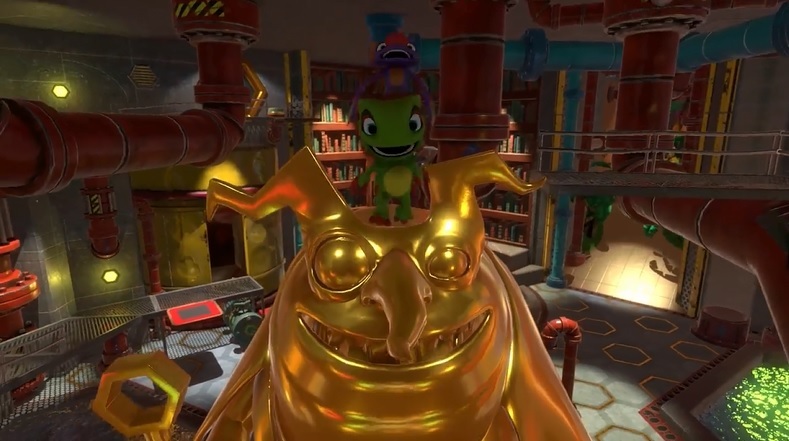 And so that’s the new Yooka-Laylee trailer. As you can see, it shows a game with an amazing amount of variety in it, and one which looks to surpass even our insane expectation of the title. Roll on 2017 Playtonic, because this game will be likely up there with Breath of the Wild as some of the best games of the year when it’s released. But what do you think? 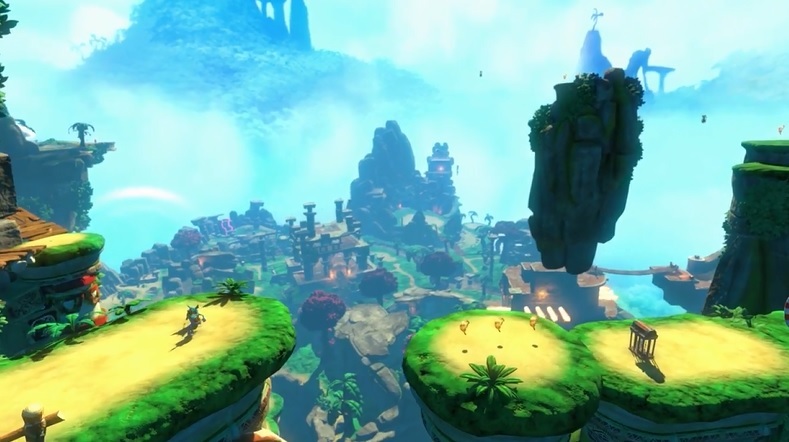 Do you like the new trailer for Yooka-Laylee? And if so, what else do you want to see in this title? AMD Designing Chip for 2016 Games Console?